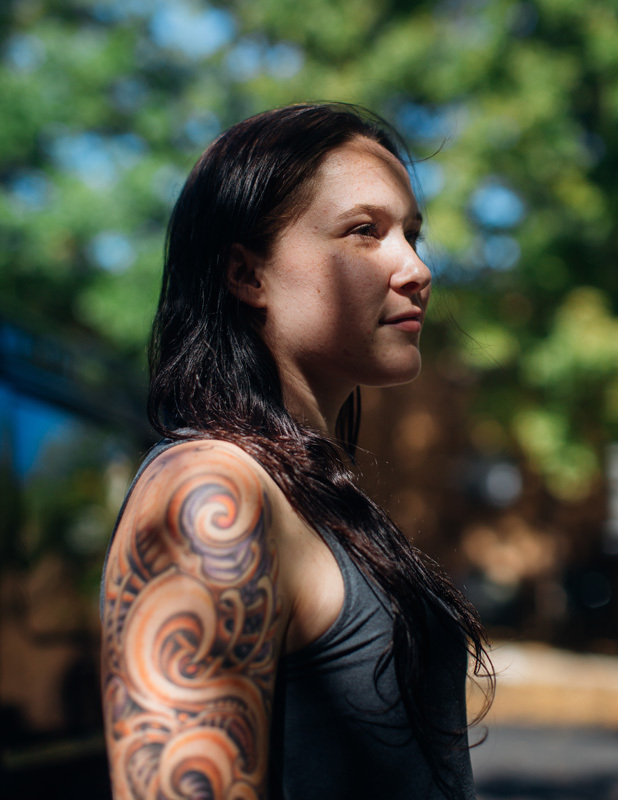 In 2015, Izelle Van Zuylen lost everything to her opioid addiction. Her car was seized by the federal Drug Enforcement Agency. She was fired from her teaching job and lost her apartment. 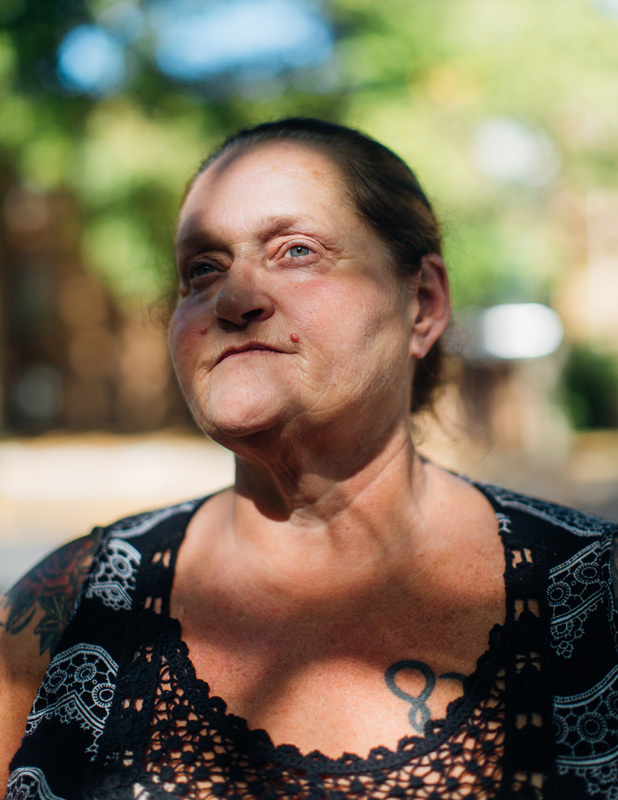 “After the felony charges happened, that’s when I realized I needed help,” she says. 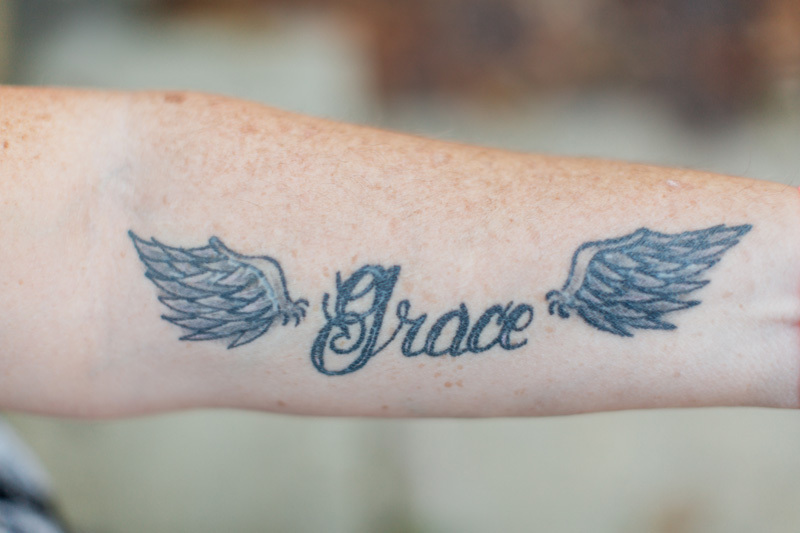 After a brief stay in an addiction treatment center, she remembers feeling exhausted and depressed. Living with her parents was a trial for everyone. 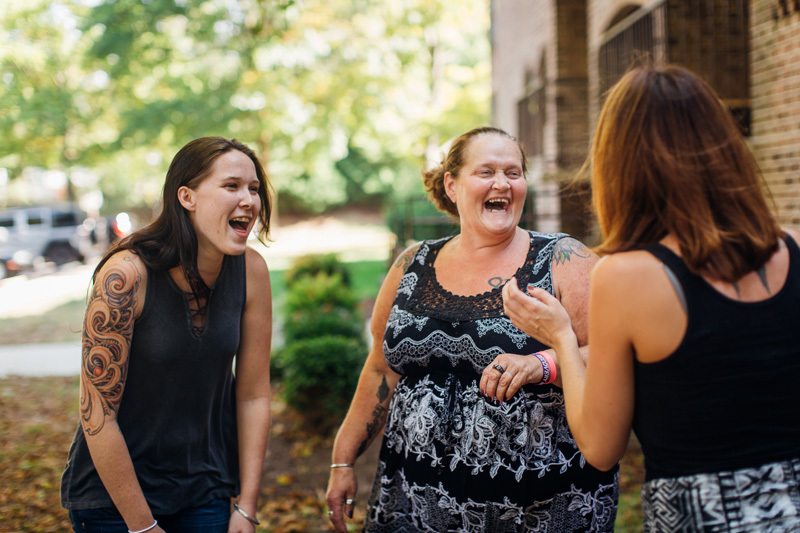 Her life turned around when she found Serenity Sistas, an Annapolis-based housing program for recovering addicts. 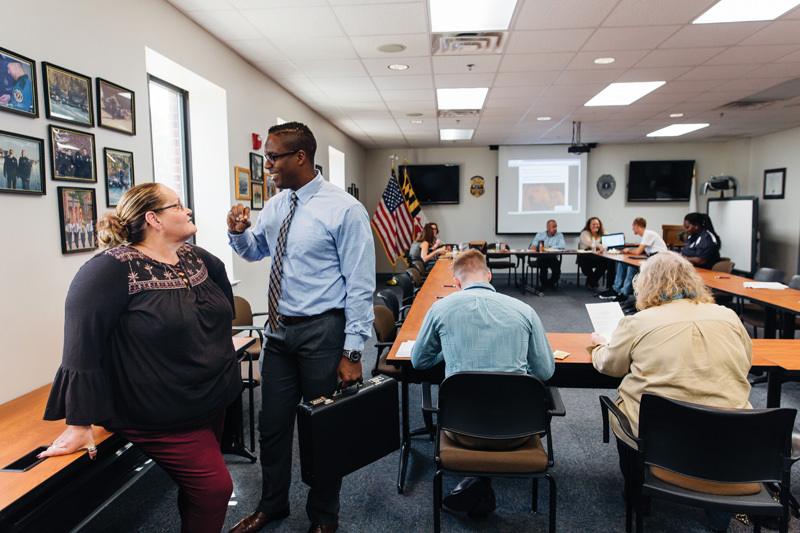 “You give off such a warm and welcoming presence,” Darren said to Angel before the start of the Annapolis Substance Abuse Prevention Coalition meeting. Serenity Sistas helps the coalition work with the community promoting public health, safety and wellness for families in Annapolis. The coalition celebrated it’s one year anniversary on Wednesday, September 21, 2017. 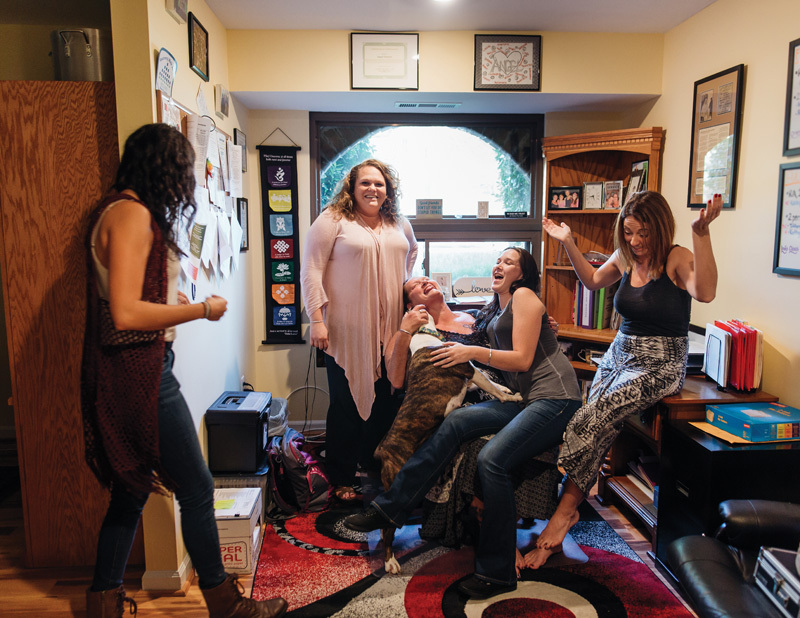 Van Zuylen, now over two years sober, sits on a soft leather couch at her new job and jokes about the first time a friend in recovery recommended Sistas: “I thought, ‘I’m not going to live with 10 girls in recovery. 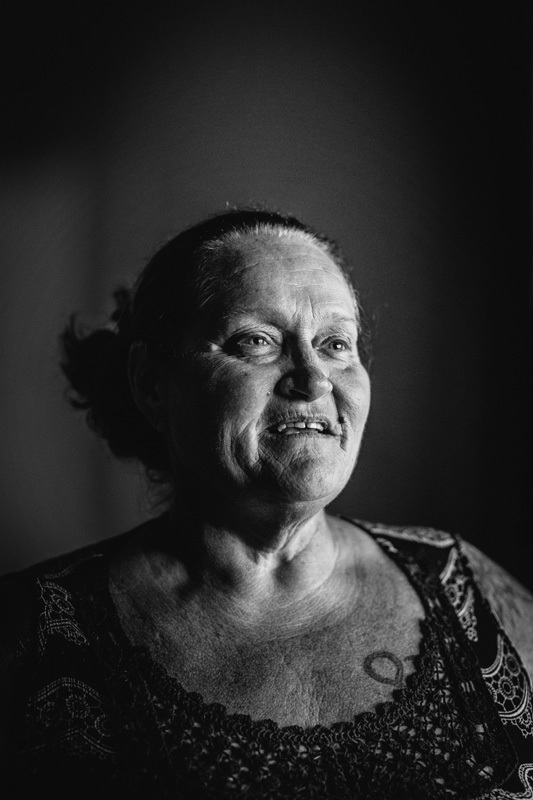 That’s insane.’” She not only went through early recovery, living in one of the five houses, but also, since last spring, she has been working alongside Sistas’ founder and director, Angel Traynor, as the organization’s program manager. Van Zuylen’s perspective has, of course, changed. “It’s the best thing I ever did by far,” she says. 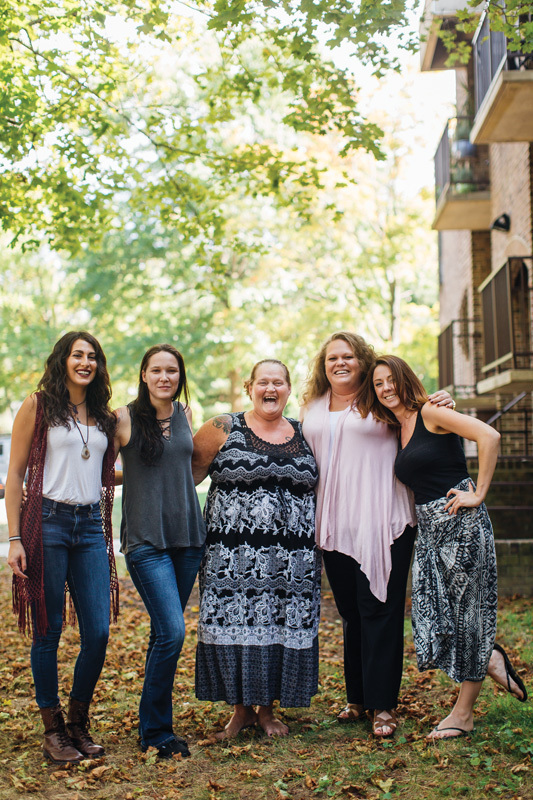 Since its inception six years ago, Serenity Sistas has taken in approximately 500 referrals from various sources—Anne Arundel County’s Mobile Crisis Team, the courts, the detention center, and local rehab centers such as Pathways or Hope House. 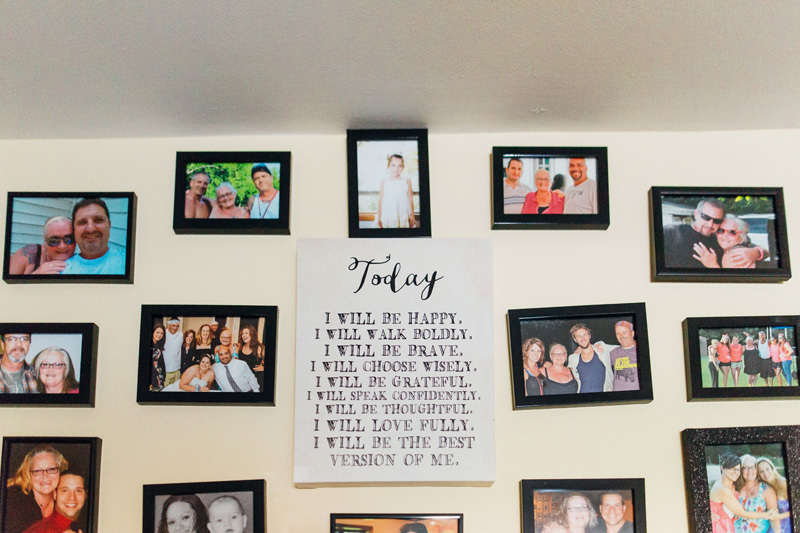 Sistas provides resources to reintegrate a recovering addict back into the community, providing a necessary and often missing link between the treatment center and resuming a productive life. It houses roughly 46 residents in its three all-female residences, one all-male residence, and one residence for mothers with young children. The current age range of most residents is between 19 and 26, while the oldest resident is 70. “Addiction does not discriminate. A lot of people think, ‘Not in my family, not my sister, my brother, my mother.’ That’s not true,” says Traynor. “It starts with a tooth extraction or a sports injury. They get a prescription of OxyContin or Percocet, and once they become physically addicted, they have lost their choice,” she explains. Traynor’s staff lovingly urge her to take a break from picking up her phone. It’s Friday afternoon, and they know their boss is drained after a long week of intakes. Traynor pulls back her blonde ponytail and settles her head back into a lounge chair. She doesn’t like shoes; her trademark bare feet barely graze the floor as she speaks plainly about her own recovery. “I don’t mind getting up in front of 100 people and saying, ‘I’ve not found it necessary to use heroin since September 6, 2007,’” she says. 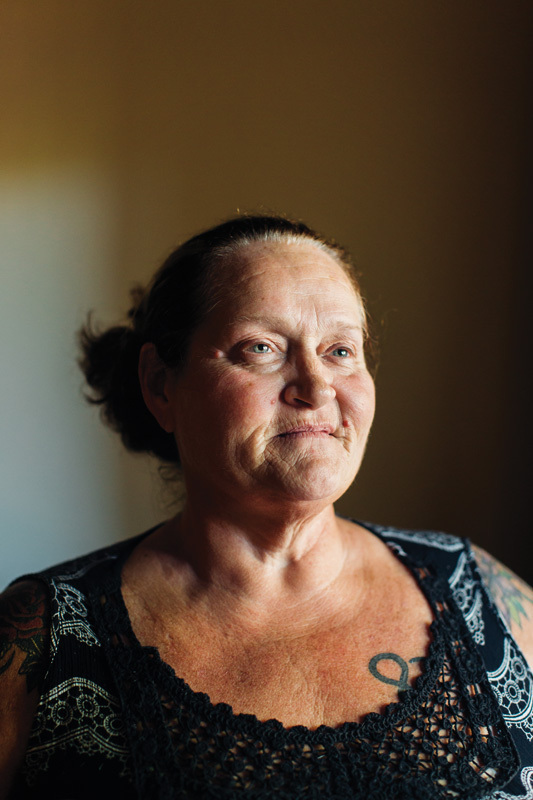 “I just want to do whatever I can do to help.” Ten years of sobriety and two college degrees later, Traynor runs the nonprofit with two employees, consults on the county’s Not My Child initiative, and knows the latest county overdose statistics as well as she knows her social security number. Bearing witness to the range of the human experience is an inevitable part of Traynor’s job. Heartbreak, disappointment, self-sabotage and sadness co-exist with the struggle for health, both physical and mental. 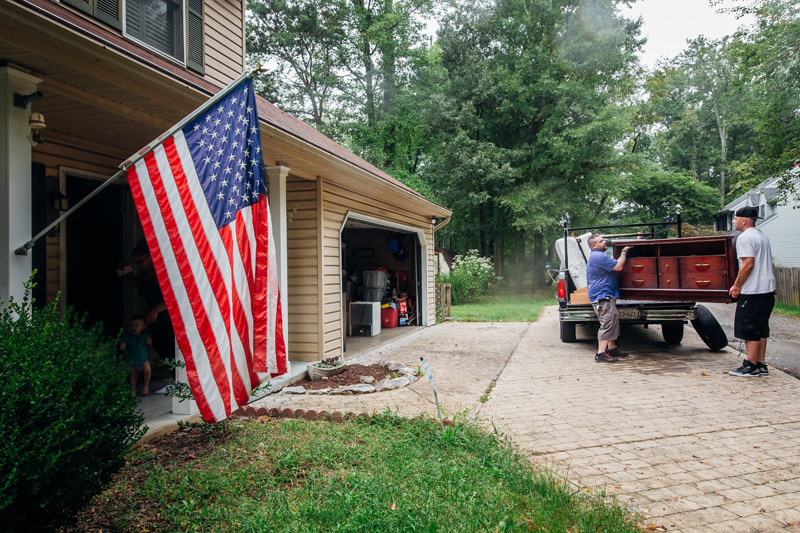 Traynor emphasizes the need for radical self-care while doing this work. She attends Al-Anon meetings and goes to hear live music whenever she can. Van Zuylen and Traynor have experienced a life with drugs and have worked at creating new lives for themselves after drug use. There is no magic wand waved in the space between the last high and the first day of sobriety. 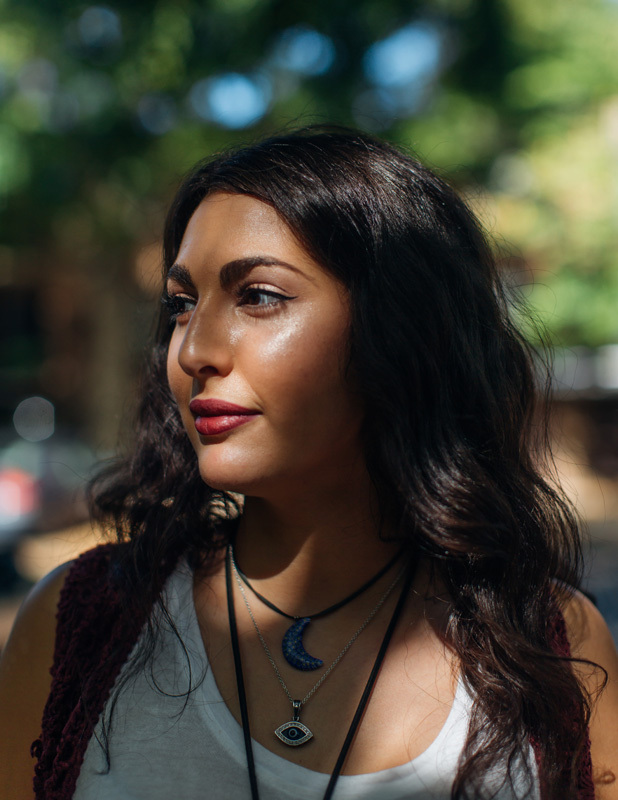 Both women feel that the common element in their sustained sobriety is a renewed sense of purpose and connection to others. “The thing that keeps me going is the connections I have with people and the love, and that’s not to say I was not loved as a kid, because I was,” says Traynor. “The one thing that I’ve experienced over and over is the huge amount of love. Because it was given to me I try to pass that on to every single individual that walks through the door of Serenity Sistas. Go out love people even when you don’t like them. Go love them. Love your community. Give back to your community and give back to the next person who is suffering,” Angel says about running Serenity Sistas. Shaudi, Izelle, Alisa, and Kelli all help Angel in managing Serenity Sistas. All are in long term recovery themselves and guide newer Sistas through the process of recovery. 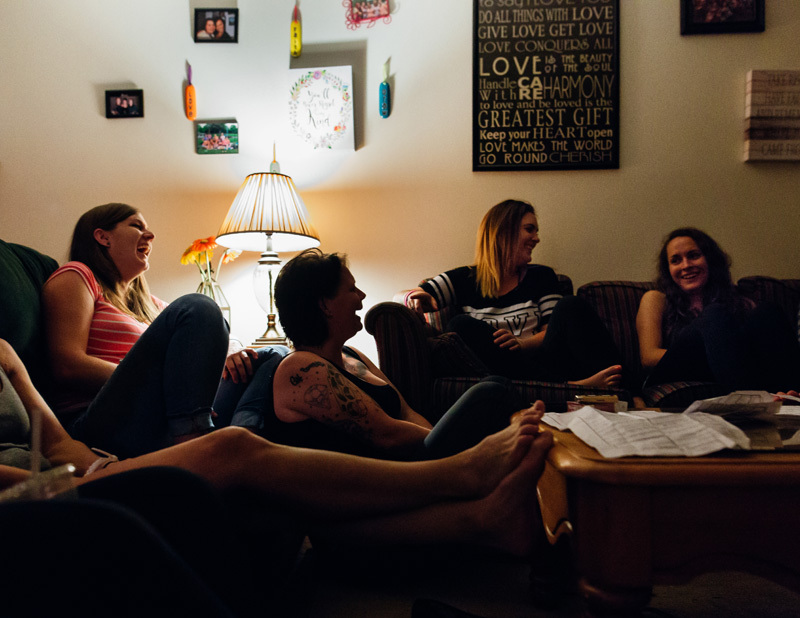 Jenna, Julie, Ashley and Laura laugh during their Serenity Sistas house meeting. During each weekly meeting the women discuss their support meeting hours, how many hours they’ve worked at their jobs, and their sponsors. The group ends each meeting talking about what they’re personal struggle is that week and what they’re grateful for. Some of the women are working through issues such as getting to spend more time with their children, working towards finding new sponsors, and staying positive. All of the women expressed their gratitude to their fellow Serenity Sistas and the support they receive from the house. Alisa is a powerful force for change and recovery with Serenity Sistas and in the city of Annapolis. She has been clean from opioids for 29 months and has teamed up with Anne Arundel County State’s Attorney Wes Adams to produce project videos called “Right Under Your Nose” sharing experiences on social media offering parents educational tips in the fight against drug use. 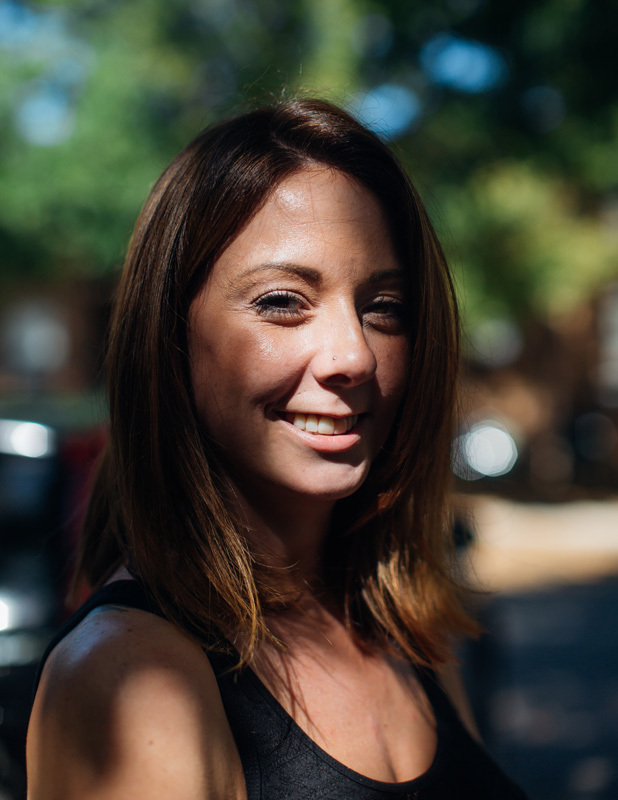 Kelli is one of the forces behind Serenity Sistas and the Annapolis Substance Abuse Prevention. “About 2010/2011 I had seen through Facebook she (Angel) got clean and she was clean for a couple years. She took me to my first meeting. We got high together and now we’re in recovery together and I’m running her recovery house. To see her from where she came to where she’s at now—if she can do it, anybody can do it,” -Angel’s nephew Mike talks about Angel’s influence on his life. “The last morning I woke up in active addition, I actually didn’t wake up I came to. I had a nine o’clock appointment to get into treatment that morning. I came to at about 6:30. I was so full of fear. Fear of living with the drugs and living without them anymore. My solution on the last morning was to kill myself. 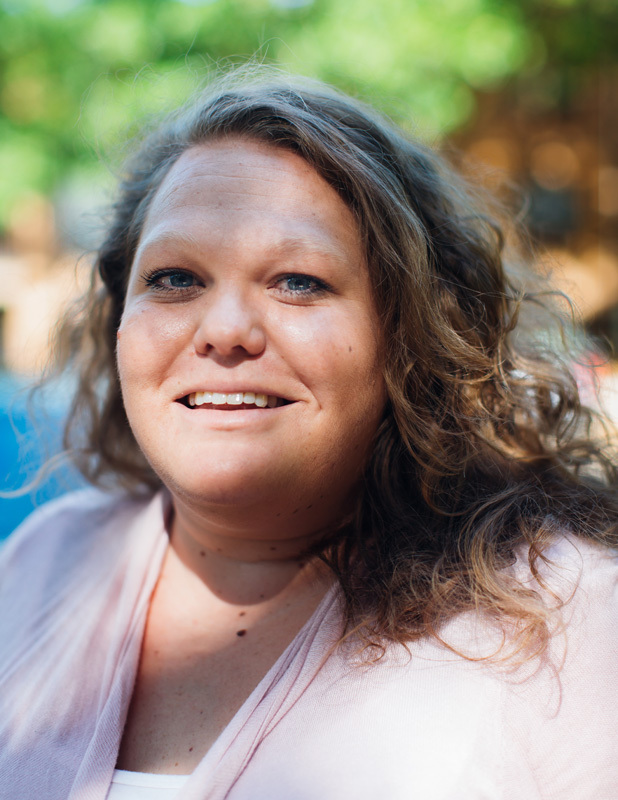 It was an attempt at my own life…At some point it switched for me and I wanted to live more than I wanted to die,” Angel Traynor talks about the beginning steps of her journey to recovery. 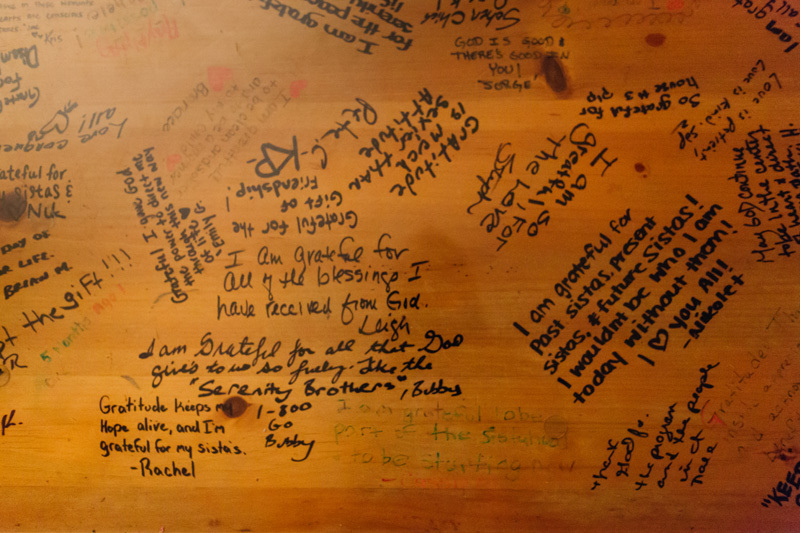 The coffee table in one of the Serenity Sista homes is filled with gratitude notes from former women living in the home. Shaudi is a house manager at Serenity Sistas and looks out for over ten women in the house with mandatory weekly meetings where she cheers on the women with their 12 step process, jobs, and life balance. “One of the biggest blessings for me is to come from that lifestyle. I’m an Annapolitan, been here my whole life. To come from that lifestyle I used to live and to be able to walk into a police department and talk with the Chief of Police is huge. I’m so grateful that the police department gives us this space each month. At the end of the day it’s all about the partnerships. How do we build that in the community? How do we break down that stigma? How do we break the perception of risk from youth? We listen to what they’re saying. We all just want to be heard just like we all want to be hugged. I’m just convinced that long ago there was a plan for me or maybe that was part of the path. 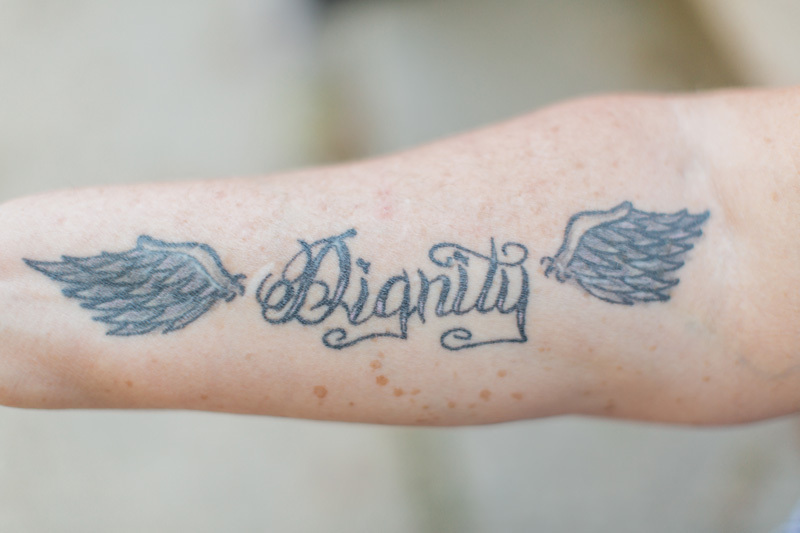 I did the damage here and now I’m able to help repair it,” -Angel Traynor talking about her journey from an addict to forming Serenity Sistas, a thriving recovery community providing addicts with safe, healthy and supportive houses throughout Annapolis. “I started off pain pills. I got prescribed them at one point in time and that’s just how it started. I eventually switched to heroin because the pills ran out and it was cheaper. That took my life away from me. Really quick. About two years ago I got out of jail. I became addicted when I was in jail. I came home and went straight to doing heroin again. I was on the street for about a year and then I decided to go into rehab. I went in through the Safe Station in Anne Arundel County. That was probably the best move I ever did,” James talks about his journey to recovery. Mike, left, and James, right, move in donated furniture to one of the five Serenity Sistas houses in Annapolis. Mike has been clean for four years and is a house manager at the men’s house. James moved into the house May 10, 2017 and says it’s going really well. James has a full time job and is working to get his life in order. Izelle is an important force behind the Serenity Sistas work and Annapolis Substance Abuse Prevention Coalition. 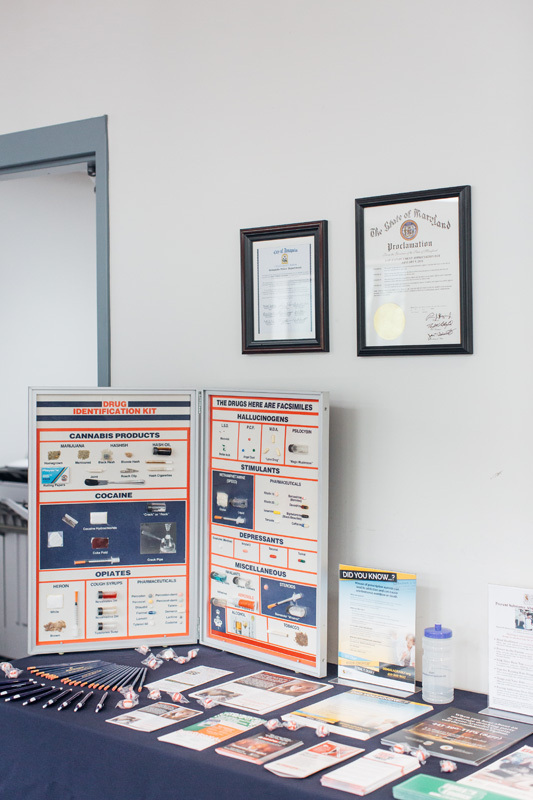 The Annapolis Substance Abuse Prevention Coalition puts out pamphlets and lots of resources for any concerned citizens at their meetings. Angel talks with LaToya Nkongolo, social worker and owner of Work Life Urgent Care, before the start of the Annapolis Substance Abuse Prevention Coalition meeting. Serenity Sistas helps the coalition work with the community promoting public health, safety and wellness for families in Annapolis. 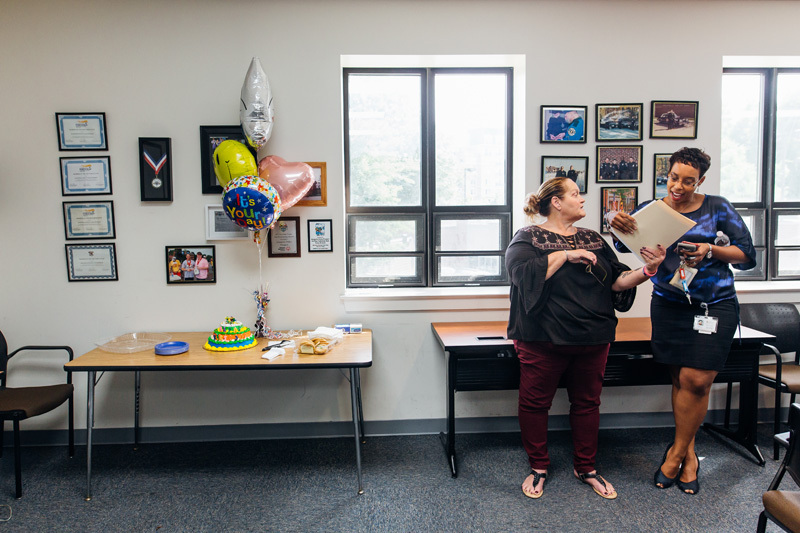 The coalition celebrated it’s one year anniversary on Wednesday, September 21, 2017. 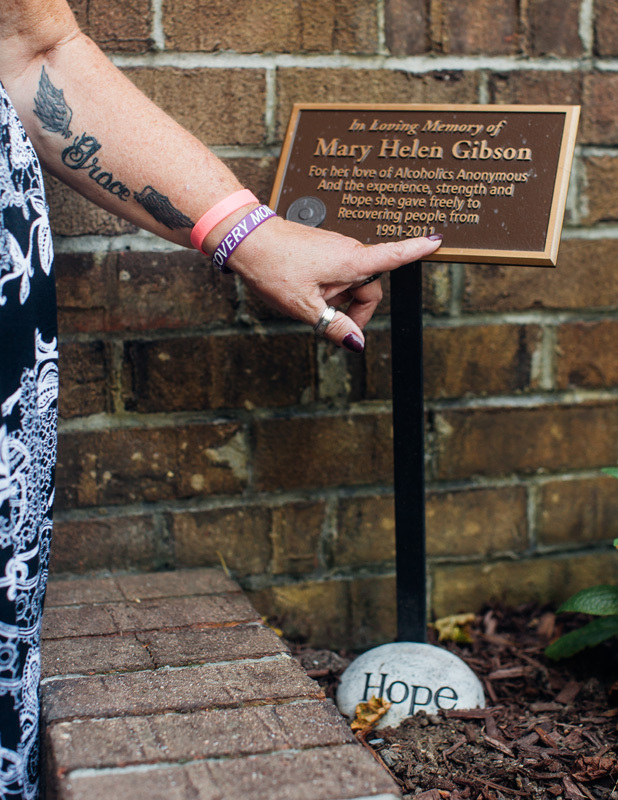 “Mary Helen was one of those people who told me I was going to die if I didn’t stop. I walked into my first meeting and she started crying.” She had prayed that Angel would get into recovery. “I stuck around, I stayed clean and she became not only a mentor, but a friend. When she passed away it was such a big loss,” Angel says. Error: Error validating access token: Session has expired on Saturday, 09-Mar-19 15:57:50 PST. The current time is Friday, 19-Apr-19 12:16:23 PDT.